Understanding your strengths and weaknesses is undoubtedly one of the best ways to improve your leadership and team-building capability, as well as navigating through life successfully and effortlessly. Assessing our level of innate robustness and then compensating strategically for any shortcomings certainly sounds like good tactical thinking in the highly volatile and unpredictable world we live in. Unfortunately, having an objective view of both our strengths and challenges is usually a process fraught with bias and judgement. The problem is we don’t know what we don’t know. Fortunately, DNA profiling eliminates this guesswork, allowing you to benchmark your (and your team’s) ability to deal with stress, pressure and demands on productivity. This powerful knowledge gives the forward-thinking leader a competitive and unfair advantage. At a time when increasing demands are leaving many executives burned out, disengaged and under-performing, this is the ultimate data-driven tool for elite performance in work and life. 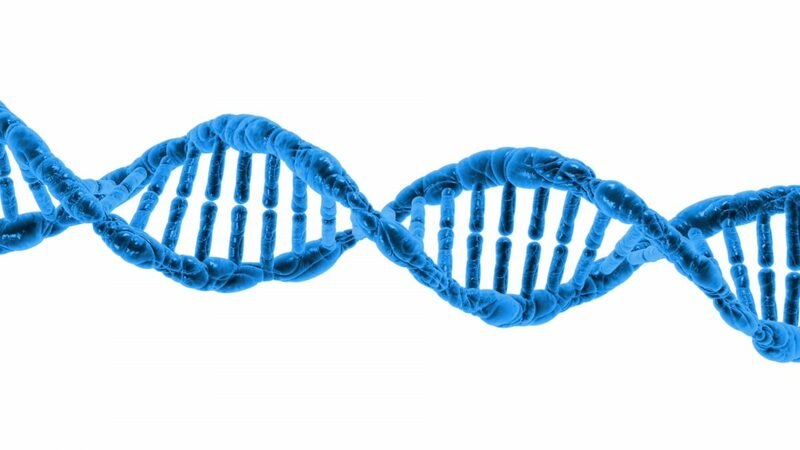 Personalised DNA profiling is a simple saliva test that helps identify your genetic blueprint by analysing specific genes that relate to mental health, energy production, sleep and nutrient requirements, motivation levels, memory and predisposition towards anxiety or depression. Each one of our cells contains this blueprint. You can think of it as the manual that has the instructions to “build you” by directing cells to grow, reproduce, renew and to become highly specialised in a particular function. Even though all humans share 99.9% of the same DNA, the 0.1% variation that occurs from person to person accounts for the great range of diversity in our thinking, resilience, motivation and energy levels. Genetic profiling identifies these common variations in your DNA manual, or “misspellings” as described by geneticist Francis Collins. Not understanding the unique misprints that affect the ‘story’ that is you is like entering a race without understanding the different training required for sprinting versus endurance events. No athlete would ever dream of it and neither should leaders who are committed to an outstanding performance. Genetic profiling can identify your predisposition towards low stress resilience, lack of mental stamina, increased risk of anxiety or depression; whether you are a natural warrior or worrier. It can tell you whether you’re prone to low moods when faced with challenges and whether you are a naturally agile thinker. Understanding where you body and mind are naturally ‘leading’ you gives you a set of instructions to compensate for any shortcomings, therefore improving your ability to lead others. For example, variants affecting the breakdown of histamine may give you a natural head start in leadership. High histamine leaders are self-starters with a great attention to detail and an innate sense of discipline to achieve better goals. They lead their team with conviction and presence and have a self-assured vision of the future. However, if levels of histamine continue to increase inside cells, this can turn the engaging leader into an aggressive one who is prone to disrupted sleep, an overactive mind and who ends up barking orders to their team instead of motivating them. Another example of how DNA profiling can give leaders a competitive advantage is the neurotransmitter dopamine. High dopamine producers may be able to navigate and even thrive in high pressure environments. On the flip side, their attraction towards an ‘all work and no play’ mindset would lead them to an increased sense of self-importance which would affect their listening skills and cloud their judgement.